Colleagues rarely discuss it, sometimes out of fear that offending their employer could have real consequences. Often talking about pay is just not considered polite. President Obama signed an executive order Tuesday aimed at increasing transparency around wages, in an effort to narrow the pay gap between men and women. It prohibits employers from retaliating against employees who discuss their compensation. It only applies to companies with federal contracts, but the Senate is set to vote on legislation that could extend those rights to all workers. The order itself won't impact most American workers. But it has sparked a discussion about what protections they do have when it comes to discussing compensation. Half of all workers report that talking about wage information is either discouraged or prohibited and could lead to punishment, according to a survey from the Institute of Women's Policy Research and the Rockefeller Foundation. The effort to boost transparency over wages is not new, said Esta Bigler, the director of the Labor and Employment Program at Cornell University. The National Labor Relations Act already protects employees' rights to discuss their wages without fear of retaliation, she said. Related: Obama calls for no more "pay secrecy"
But some experts say Obama's executive action will expand those rights and give them some real teeth. "This would seem to substantively expand the NLRA," said William Gould, a former chair of the National Labor Relations Board and Stanford Law professor emeritus. The NLRA, he said, only protects employees if they are talking about pay in the context of protesting unfair wages. Plus, Gould added, most workers aren't even aware that they have rights under the NLRA. Obama's executive order goes beyond that to cover any conversation about pay between two employees, even if they aren't planning some kind of protest. It also opens up these protections to cover more types of employees. The NLRA excludes supervisors that can make recommendations on hiring and firing, according to Katherine Kimpel, a partner at the Sanford Heisler law firm. But Obama's executive order includes these individuals, too. Even if you are covered by the NRLA, the remedy is to bring an unfair pay claim to the board, not the court, Kimpel said. "That's not even a slap on the wrist for the company, it's more like the wind brushing by them," she said. The executive order strengthens the remedy since a company could have their federal contract revoked. Still, Obama's order only applies to those who work for companies with federal contracts. 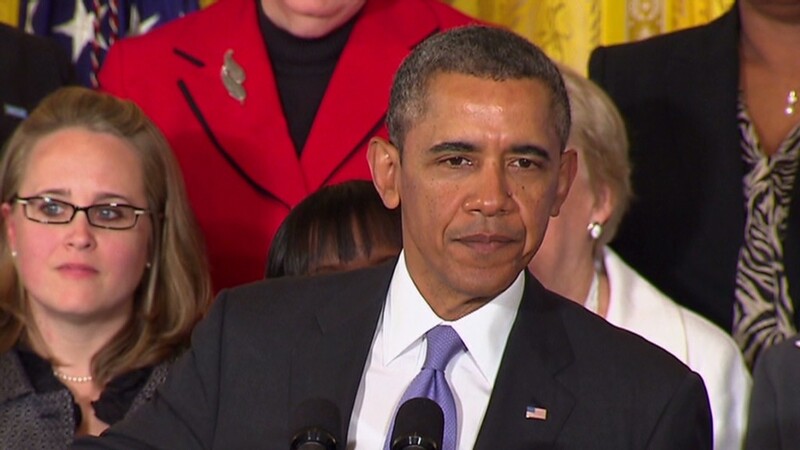 On Tuesday, he urged Congress to pass the Paycheck Fairness Act, which would apply to all workers.